There are many benefits for companies conducting Phase I research in Australia: you may have already read our previous blog or recently-developed ebook, which deals more generally with the advantages of running clinical trials in Australia. However, there has been a recent emphasis on Phase I research in Australia – almost 30% of studies conducted here are Phase I studies! Here, you can familiarise yourself with the benefits of running Phase I research in Australia, and who to get in contact with if you would like to know more. This blog is divided into two halves. The first section will discuss the regulatory framework in Australia that has been designed specifically to facilitate Phase I clinical trials. In the second section, you can read more about Australia’s biggest Phase I Investigator Sites, some of which have generously made time to write about themselves, their capabilities, and services. By understanding the Australian research environment better, you can make a more informed choice about your next Phase I clinical trial. Generally speaking, a Phase I (or first-in-humans) clinical trial, is a critical period in the development of all therapies with a view to be deployed, commercially or otherwise. Despite being backed by theory and other tests, the first time that a newly-developed therapy is used in (usually healthy) volunteers necessitates strict monitoring and readily available specialist care. This is done to ensure any harmful effects are detected early and kept to a minimum, keeping the participants of the study safe. Furthermore, the right equipment must be available so that the appropriate safety data can be collected, as the primary purpose of a Phase I study is to assess the safety, dosage levels, and any side effects of the therapy being tested. The medicines industry of Australia invests more than $1 billion every year into research and development with investment in Phase I studies in Australia alone having a conservative estimate of $50 million. Furthermore, the R&D Tax Incentive offered by the government also provides eligible companies with up to 43.5% of the money spent on certain research activities, which Phase I studies will almost always fulfil. The Clinical Trials Capability Report produced by Austrade estimates almost 30% of the clinical trials run in Australia are Phase I, supported by the Phase I units listed below and more. Phase I recruitment rates are very comparable to studies run in other countries helped in part by Australia’s densely populated capital cities, world-class facilities, and friendly population. Australia’s efficient and practical regulatory framework ensures that critical Phase I trials have rapid start up times. Here, ethics review is performed frequently by a private ethics committee. Notifying Australia’s regulatory body, the Therapeutic Goods Administration (TGA), can be done through the Clinical Trial Notification (CTN) scheme. Notification from the TGA can be received in as little as a week, meaning your study will ideally commence in a timely manner. There is also no need to submit an Investigational New Drug (IND) application in Australia. Often, the drug for a Phase I study is produced in small quantities, at local labs, on-site or other research facilities. It is important to note that a Good Manufacturing Practice (GMP) license in Australia is not required to produce experimental drugs for Phase I studies. Despite this, most facilities that produce Phase I drugs will still adhere to cGMP even if they are not certified. The Australian government indicates that, under Good Clinical Practice (GCP) specifications “Schedule 7 Therapeutic goods exempt from the operation of Part 3-3 of the Act unless supplied as pharmaceutical benefits” – this generally refers to drugs prepared for Phase I studies. Where would you like to run your Phase I trial in Australia? Phase I research is the cornerstone of the drug development process: it informs and shapes all future clinical research in humans, and as such must be done to the highest possible standards. When choosing which investigator sites will run your Phase I study, there are several key factors that must be considered. Quality of care, medical equipment, experience, and volunteer capacity are all important aspects. These requirements vary from trial to trial, so familiarising yourself with the major Phase I units of Australia will help you find the ideal site for your trial. Since 2002, Q-Pharm has built an enviable reputation in the recruitment and conduct of early phase clinical trials. Our early foundations in bioequivalence, vaccine, and disease challenge models have grown into widely acknowledged expertise in a broad range of healthy volunteer and patient-based trials. Q-Pharm has conducted well over 400 clinical trials in our state-of-the-art, 62-bed facility within the QIMR Berghofer precinct at the Royal Brisbane and Women’s Hospital in Brisbane. We provide comprehensive, high-quality services for our clients, and conduct clinical trials in accordance with all applicable national and international safety standards and guidelines. While safety and quality remain the heart of our business, Q-Pharm proactively seeks innovative and intelligent growth opportunities looking to the future of clinical trials. – Craig Hurren, Chief Commercial Officer, Q-Pharm Pty. Ltd. 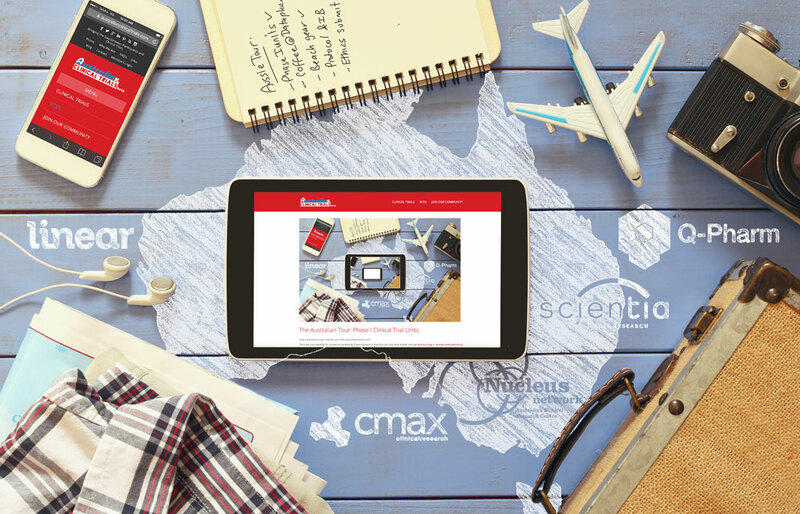 Established in 1993, CMAX is one of Australia’s largest and most experienced Phase I-II clinical trial units. Centrally positioned in Adelaide, CMAX is located next to the innovative Bio-Med City precinct. Specialising in a full range of early-phase trials including first-time-in-human studies, the brand-new CMAX facility houses 50 beds and a 24-bed ambulatory cardiac telemetry monitoring system. With an active database of more than 15,000 participants, CMAX teams conduct 25-30 studies per year and perform world-leading research for their local and international clients. Clinical trials undertaken at CMAX have resulted in the advancement of global medicines and technologies, from cancer treatment and pain control, to early warning bio-devices and hormone replacement therapies. Australia’s regulatory system, which allows international pharmaceutical companies to obtain their critical early phase data earlier, in addition to Australia’s reputation for safety and quality in clinical trials, continue to make it an attractive destination for placement of clinical trials. Furthermore, there is increasing interest and uptake of the Australian R&D Tax Incentive scheme. Nucleus Network is Australia’s premier Phase I clinical trials organisation specialising in first-in-human (FIH) clinical trials. They are the largest Phase I clinical unit in Australia with 80 beds and is co-located within a major tertiary hospital in Melbourne. Since its inception in 2004, Nucleus Network have completed over 500 Phase I clinical trials, and conduct approximately 50 Phase I clinical trials per annum – around 20-25 of these are first in human studies. Nucleus Network’s future objectives are to strengthen their presence in emerging Asian markets and continue to expand their client base in North America and Europe. Located in the heart of one of the largest medical precincts in the Southern Hemisphere and a subsidiary of the Harry Perkins Institute of Medical Research, Linear is a 32 bed, state-of-the-art clinical trial facility dedicated to nurturing medical breakthroughs. Accessing Perth’s highly diverse population of 2.2 million and an extensive investigator network, Linear excels at recruiting both patient and healthy volunteer studies. This has resulted in over 150 trials in just 6 years, including 38 Phase I oncology trials and the creation of a dedicated oncology team including a team of internationally renowned medical oncologists. This is complemented by dedicated early phase and late phase teams allowing Linear to handle the most complex of studies including glucose clamp studies, immunotherapy and large vaccine trials. – Jayden Rogers, Global Partnering Lead, Linear Clinical Research Ltd.
Scientia Clinical Research is a government-funded early phase research facility, with construction supported by Commonwealth funding through Therapeutic Innovation Australia and by the NSW Government. Scientia is an up-and-coming centre that aims to support both first in human and first in patient studies across many different areas such as cancer, ophthalmology, neurology, addiction, rheumatology and paediatrics. Scientia plans to have 30 inpatient beds with cardiac telemetry, 18 consulting rooms, and 2 procedure rooms. Furthermore, it will contain a pharmacokinetic laboratory for drug synthesis, a sample processing, analysis and management bioanalytical laboratory, and cGMP compounding. Scientia also aims to train clinical researchers, and improve clinical standards for clinical trial volunteers. Australia, supported by both the government and excellent Phase I facilities around the country, is well placed to support all types of early phase clinical trials. How many of these beds would you like to take advantage of? If you need sample size calculations, clinical trial feasibility, or other clinical trial start-up support, get in contact with us today, and see how we can help you.